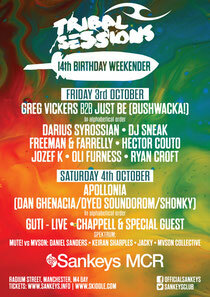 This weekend, across Friday 3 and Saturday 4 October, Tribal Sessions is taking over Sankeys in Manchester in a celebration of electronic music for its 14th birthday party. 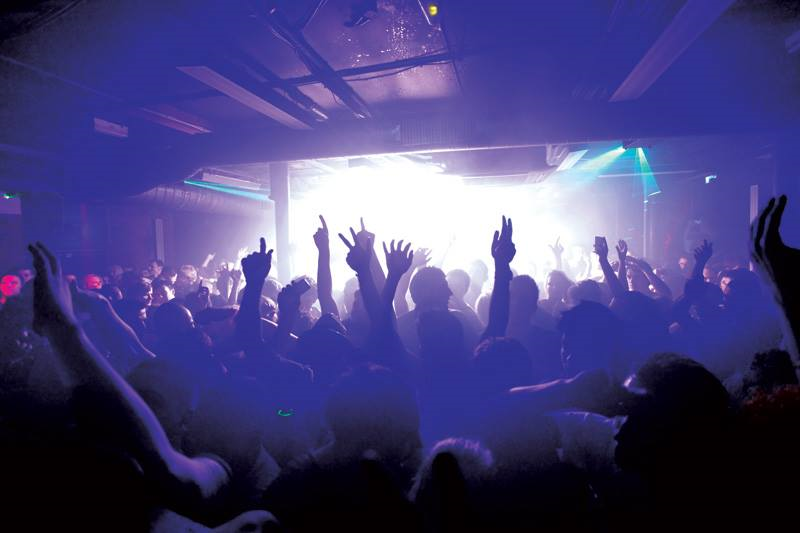 As a possible epicenter of dance music culture, Tribal is possibly one of the UK’s defining residencies at this well-known club, and since September has been back in Manchester each and every Friday offering some great DJs and producers across the house and techno spectrums. The double whammy of shows, with guests including Apollonia, DJ Sneak, Guti (live), Greg Vickers and Just Be (Bushwacka) playing back to back, Hector Couto and many more, this should be a huge night, with support from some of the club’s friends and family creating two shows. 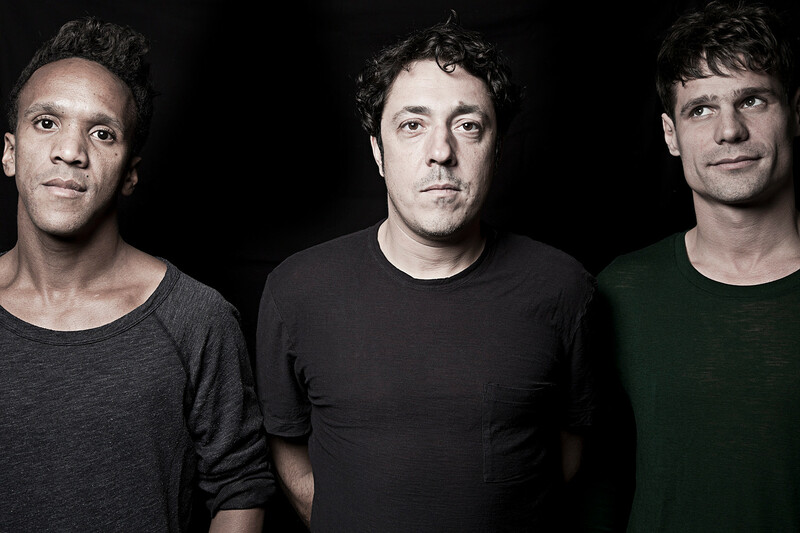 Fresh from its season at Sankeys Ibiza, Tribal Sessions now leads Sankeys through the autumn and winter seasons. 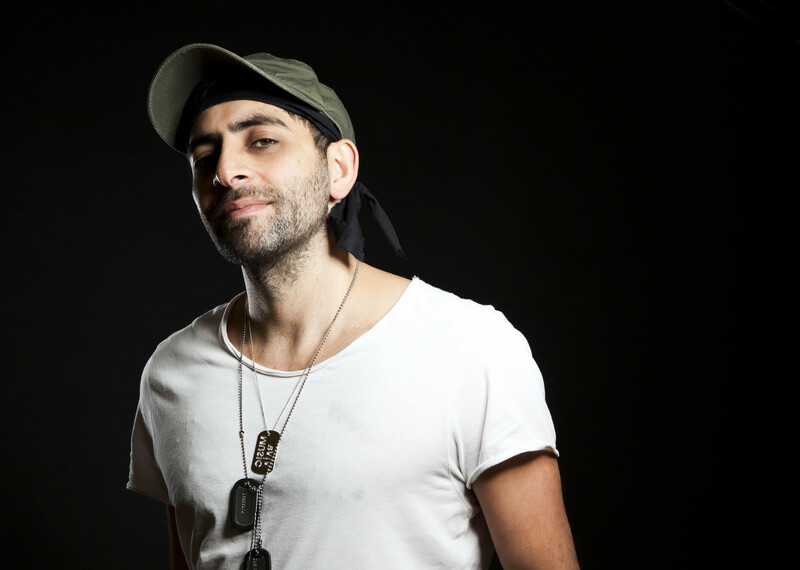 With weekly resident Darius Syrossian at the helm and support from Jozef K, Tribal returns to Manchester as one of the city’s legendary parties, and for one sweekend only celebrates its 14th birthday over two big shows.